Now that the calendar has turned to March, the NFL is gearing up for the start of free agency on March 11. And with more than $57 million in cap space, the Cleveland Browns have the opportunity to be buyers. With several holes to fill on the team, the question is where the Browns will plan to spend their money. Resigning Pro Bowl center Alex Mack should certainly be a priority; as well as Pro Bowl safety T.J. Ward. Ward’s case is particularly interesting in light of the news on Sunday that the Buffalo Bills may not be able to reach a deal with safety Jairus Byrd and that Byrd may become an unrestricted free agent. Byrd just finished his fifth season in the league and is a player known for being a smart player. He also has played in all but two games over the past four seasons, although he didn’t start a game last season until Week 8 because of a foot injury. According to Pro Football Focus, Byrd is the No. 1 free agent safety, receiving a negative grade just once since the start of the 2010 season. He also only missed four tackles total during the 2013 season – there have been safeties on the Browns roster over the past decade that missed that many in a single game. There is little doubt that Byrd would looking really good lining up next to Ward come the fall, but there’s the rub. Ward is also a free agent – one who is ranked No. 2 on that same Pro Football Focus free agency list – and is looking for his own big-money contract. A year ago, the Bills tried to sign Byrd to a new contract but the two sides were unable to reach a deal. 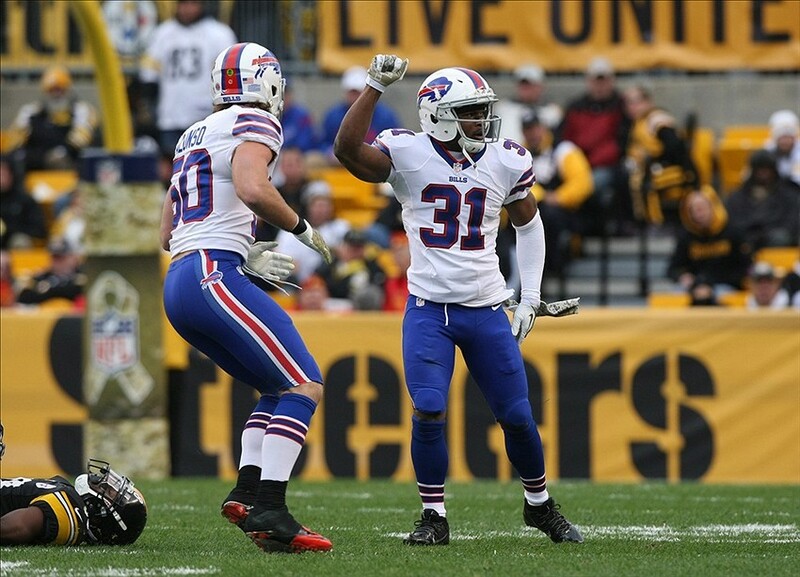 Buffalo ended up putting the franchise tag on Byrd, which upset him. If the Bills wanted to, they could tag Byrd again this year at a reported cost of $8.433 million, which is the important number to focus on. For any team looking to sign Byrd as a free agent, that $8.433 million would presumably be the number to beat; Byrd likely would not sign a deal that would pay him less on an average yearly basis. The Browns have the money if you only look at the Byrd signing in a vacuum. But bringing him on board would have a ripple effect, starting with Ward. If the Browns are willing to pay top dollar for another team’s player, what message does it send to the locker room if they pay their own player less money? The team is also talking with Joe Haden about a contract extension, one that it is safe to assume would be another high-end deal, meaning the Browns could have a secondary with three of the highest-paid players in the league. There is also the matter of what is coming down the road. Linebacker Jabaal Sheard, nose tackle Phil Taylor and tight end Jordan Cameron will be free agents after the 2014 season; wide receiver Josh Gordon will come due after the 2015 season. The Browns have to factor in those contracts into any decisions they make this year when it comes to looking at free agents. The weird thing is the Bills have cap money of their own to spend – reportedly around $25 million – and will be in the market for a safety if Byrd leaves. Maybe they make a pre-emptive strike and try to bring Ward east to Buffalo if the Browns can’t work out a deal with him. This all presumes that the Browns have an interest in Byrd, of course. The link, of course, is that new Browns head coach Mike Pettine coached Byrd last year in Buffalo, so Pettine knows him as a player. But he also knows what, if any, headaches Byrd brought to the locker room and meeting room about his contract situation. It’s entirely possible that Pettine does not want Byrd to follow him to Cleveland. After all, the Browns were supposed to be signing and/or trading for just about everyone on the Philadelphia Eagles roster during the four years that Tom Heckert and Joe Banner were in town, and that ended up being a whole lot of nothing. After so many years of the Browns not having anything, we’re more than ready for them to get as much as they can. A secondary with Haden, Ward, Byrd and (insert name here) at the other corner back position sounds like a nice plan. We’re just not sure that it is possible in the salary cap era. Who’s that team in second place? Another week, another win for Liverpool, currently the hottest team in the Premier League and one that is making an unexpected bid for the league title. On Saturday, the Reds took down Southampton, 3-0, behind goals from Luis Suárez (his first in five matches), Raheem Sterling and Steven Gerrard. The win puts Liverpool in second place, tied with Arsenal on points but ahead of the Gunners on goal differential. * They also have not lost a game in 2014 and have now won four in a row. 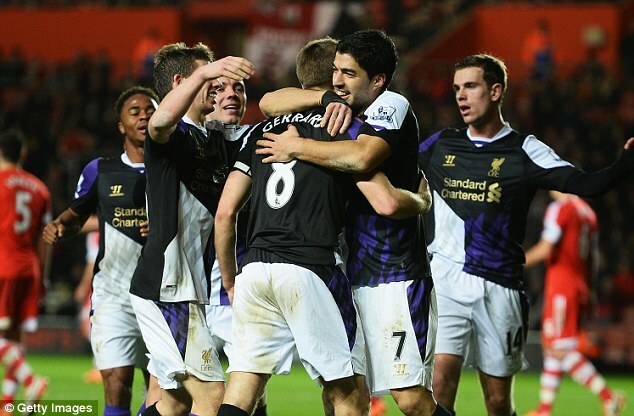 More importantly, Liverpool kept a clean sheet for the first time in more than a month. The only team standing between Liverpool and its first league title in 24 years is Chelsea, who still has to visit Anfield on April 27. “What is great for (the fans) is that they have seen the evolution of this team over the last 18 months and we’ve consistently been progressing and performing at a really good level,” Rodgers said. Liverpool is off now until a March 16 visit to take on Manchester United at Old Trafford, where the Reds have not won since the 2008-09 season. Take three points against a struggling Manchester United team and Liverpool will have surpassed last season’s point total with nine games remaining. And if Rodgers can find a way to tighten up what has been a loose defense, Liverpool has enough offensive fire power to keep the pressure on Chelsea. *While Liverpool is in second place, Manchester City is just two points behind and has two games in hand.